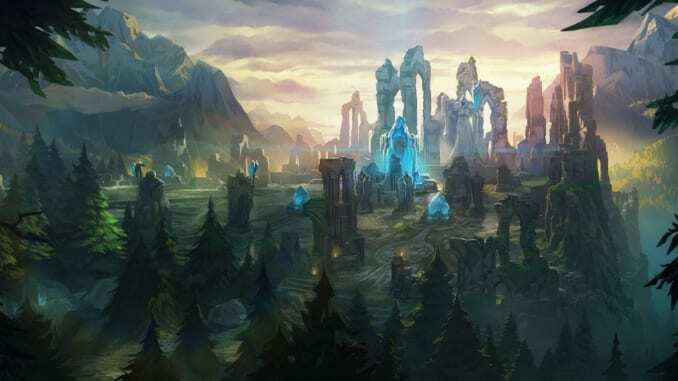 This article contains a guide on how to play mid lane in League of Legends (LoL), including mechanics, strategies, tips and tricks and ways to improve your game. Mid lane is considered to be one of the foundation of a good team in League of Legends. A mid laner is the one responsible for dealing the most damage in a team. Because of this, some may find this lane very overwhelming and difficult. This guide will teach you the basics on how you should play the most competitive lane in League of Legends. There are around three types of mages – Burst, battle, and artillery mages. Burst mages are your typical mages that deal a ton of damage. These mages come in the form Lux, Ahri, and Veigar. Battle mages are good at close range, hence, they have one or two defensive skills. These mages are Aurelion Sol, Swain and Karthus. Lastly, artillery mages are very strong at long range, but is very vulnerable when near an enemy champion. These mages are Vel’Koz and Xerath. Pick which champions you are comfortable with, but if you are beginner, Lux or Annie are good starter mages. Mid Laners somewhat have the most difficult laning phase in all of the four roles in LoL. Mid lane is situated in the middle of the map with two exposed brushes on both sides. Always ward one side of the brush when laning, and always stick to that side. This is to see whether someone is trying to visit your lane. This will also allow you to escape quickly if an enemy jungler appeared on the other side of the opposite brush since you are far away from the other brush. Expect a lot of ganks in the mid lane as it is the most accessible lane. Always try to harass your matchup, especially if you have the range advantage so that the jungler will have an easier time pinning down the enemy if he visits. It’s all about farming and harassing your enemy matchup. Although most mid laners do not have teleport as their summoner spell, you can sometimes see them visiting other lanes for a gank. What makes them good gankers is that both the top lane and the bot lane are accessible for them. Some artillery mages might even stay in the river and just unleash their skills from afar. Try to give lane pressure on bot and top lane as much as possible. However, if you are behind, staying in your lane and farming is a better option. Many champions in the mid lane are mechanics-heavy like Syndra and Leblanc. It’s important that you practice your combos to maximize your damage against enemies. This is what makes the mid lane intimidating to some people, the champions viable in the mid lane are difficult to learn. Practicing a hero in the practice tool helps a lot in learning the combo of a champion you want to learn. This is where mid laners shine the most. By this time, you should have a ton of damage and AP to inflict massive damage to your enemies. The way you approach the game in this time of the match depends on what champion you are. If you have a champion who has a good AoE ultimate like Zyra or Orianna, focus on setting up a team fight. If you are have a lot of burst damage, try to pick off their carries first.